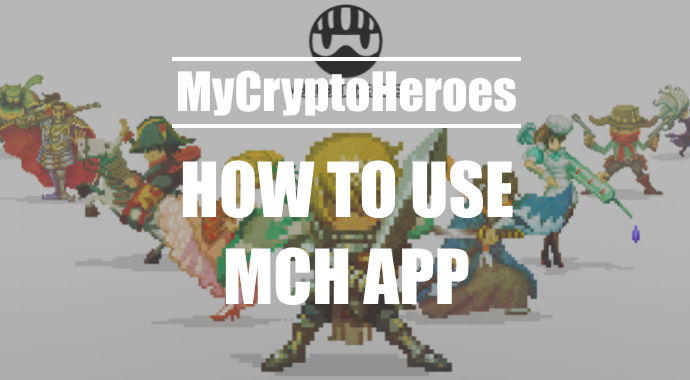 MyCryptoHeroes (MCH) is a blockchain game. 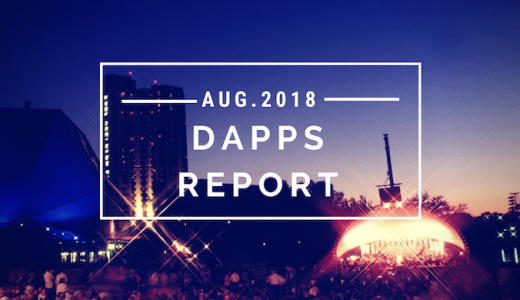 So you need browser wallet or MCH App for paying ETH. MCH official recommends using MCH app or some browser wallet (tokenpocket, Gowallet, Trust). 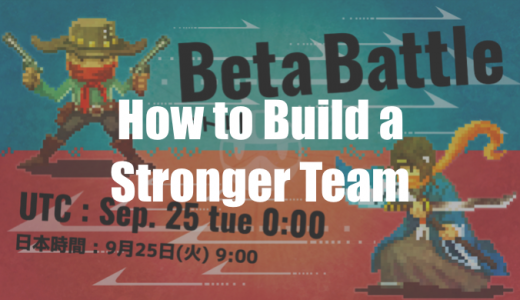 Then, I introduce how to use MCH App in this article. Let’s get started MCH with MCH App! 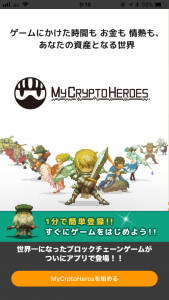 Open MCH App and tap “MyCryptoHeroesを始める”. Enter passward and retype passward. 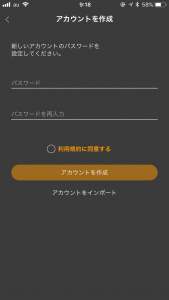 Then tap “アカウントを作成 (Create an account)”. 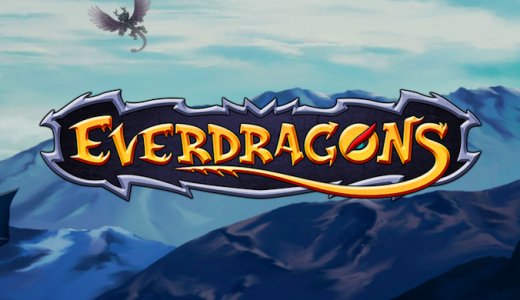 Don’t forget your passward! 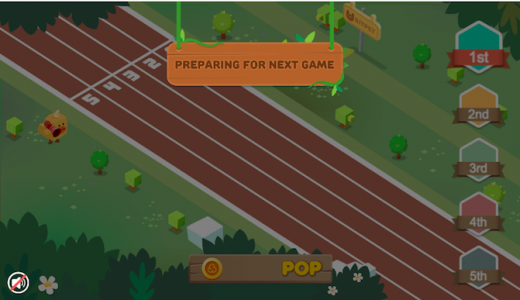 You need to enter passward when you pay ETH and get daily bounus. If you use my invitecode, you can get 2 heroes! My invite code is rVq7. You can only use invite code when you start MCH at first. 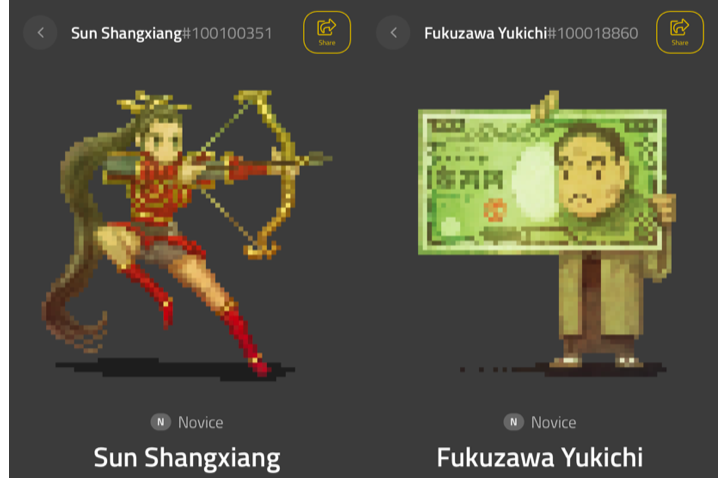 Get Yukichi Fukuzawa and Sun Shangxian! 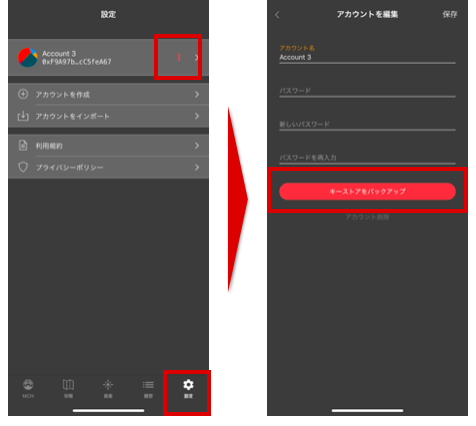 Tap a menu “設定” and red dots. 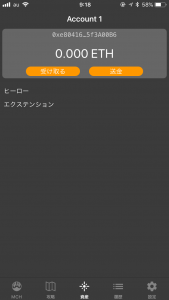 Then enter your passward and tap “キーストアをバックアップ (Backup the keystore)”. Save your keystore in the safty prace. Don’t forget your passward! And that’s it! You can enjoy MCH, send and recieve ETH.